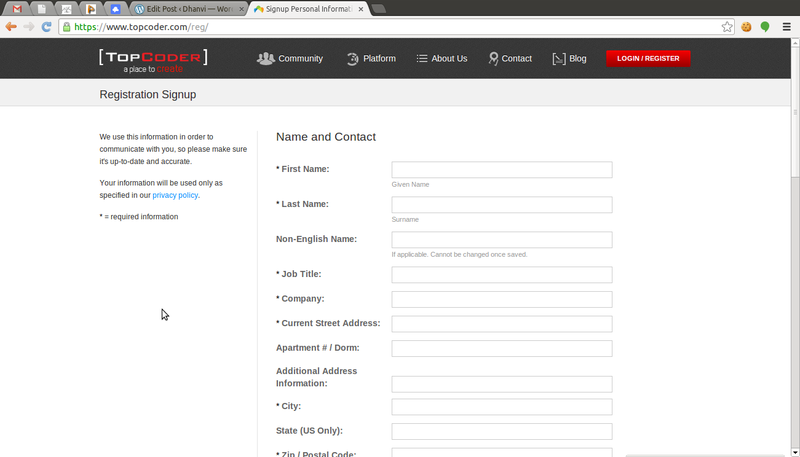 This post is perfectly technical blog post . 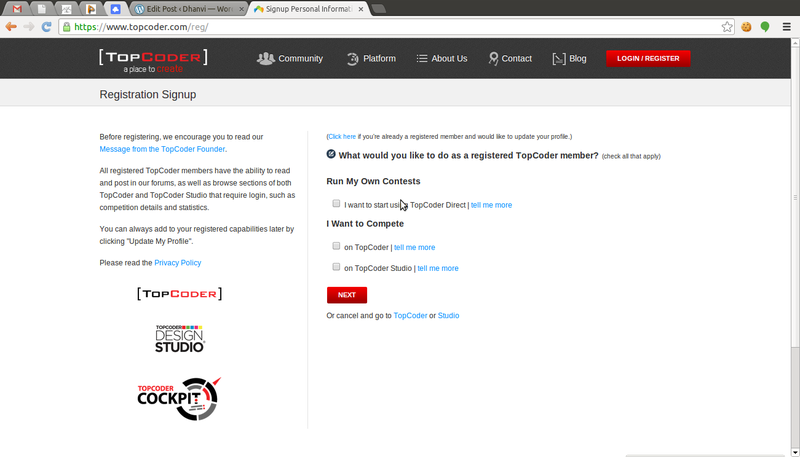 And coming to the programming part, topcoder contains many parts and we need to do in order to improve your programming is algorithms , this can be selected at http://community.topcoder.com/tc ,which looks like this. 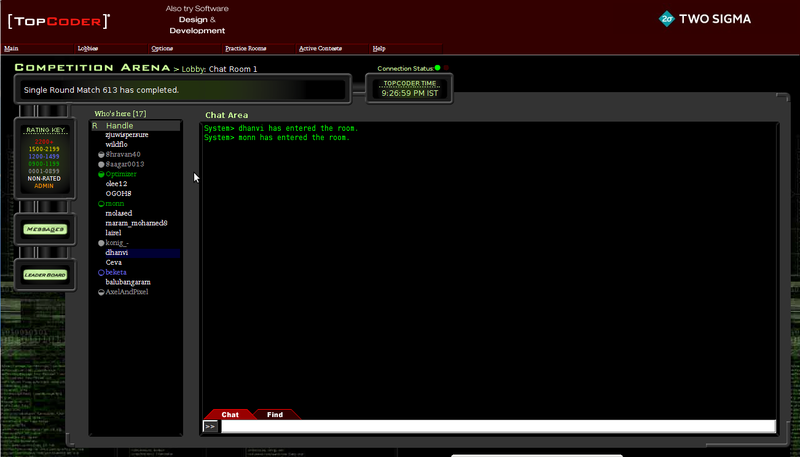 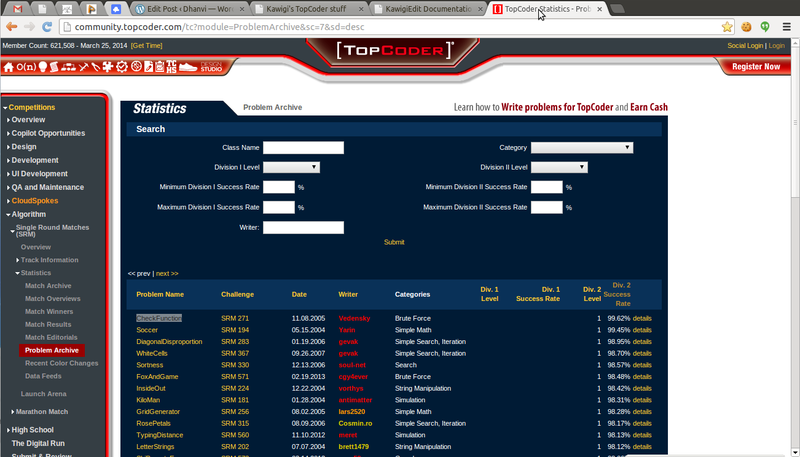 And then select Register Now in the top right corner if you are not registered to topcoder. 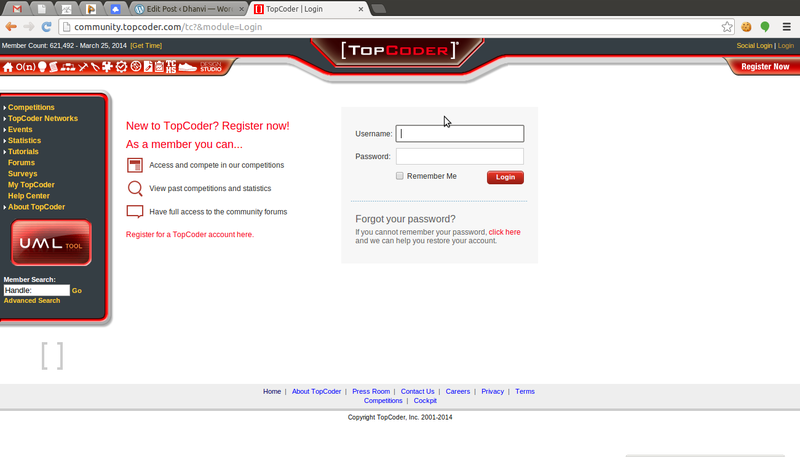 Give all the personal info and get a handle in topcoder (nothing but user name ) login to your account by entering the handle and password of the topcoder. 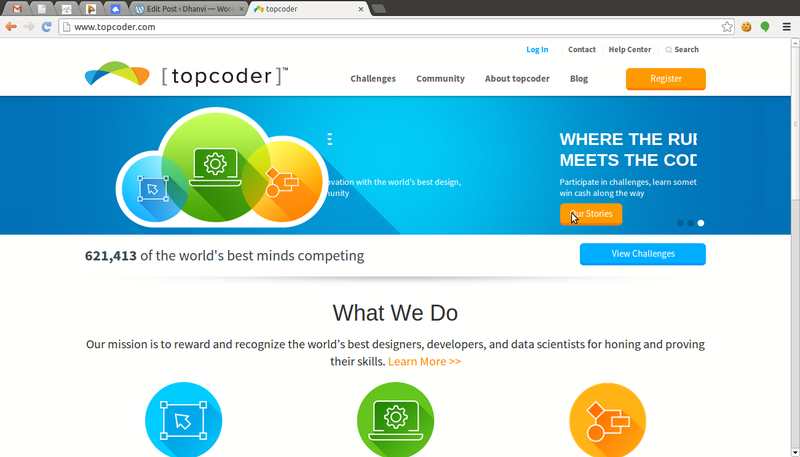 Then you will be asked to save the file save the copy and keep it in a folder named as topcoder for further use so that you need not do this again. 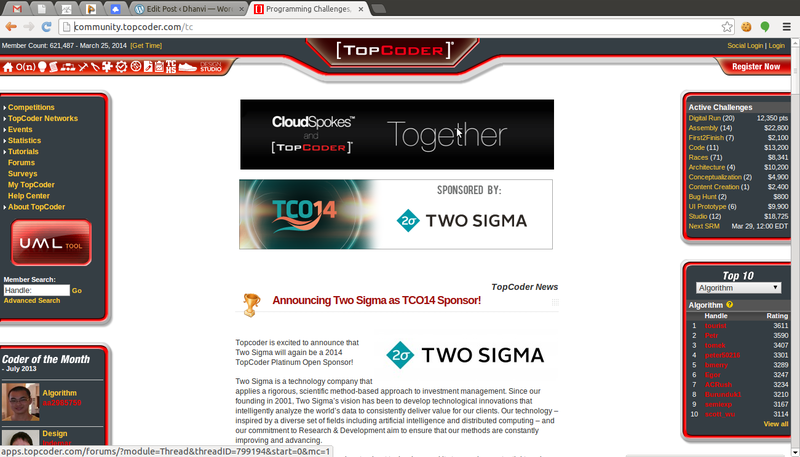 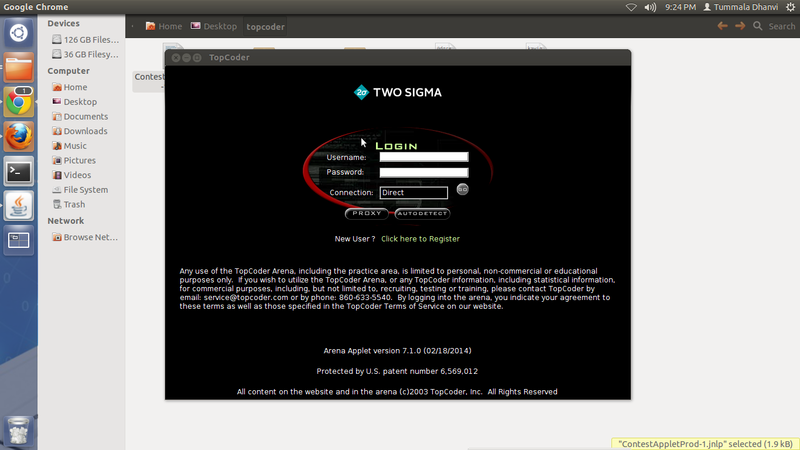 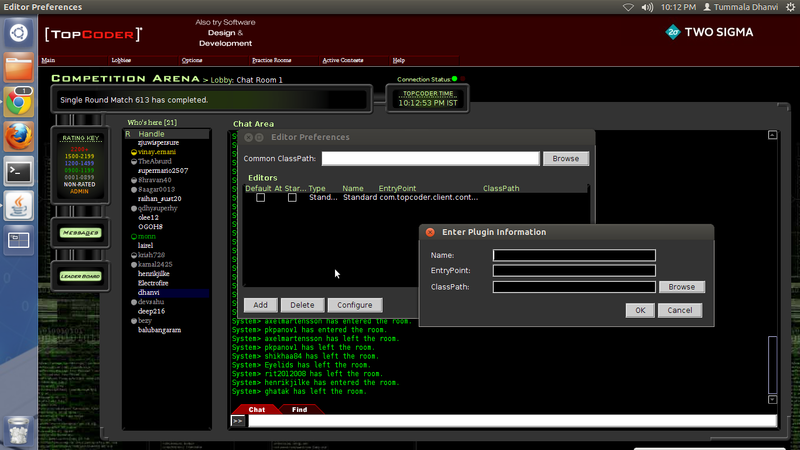 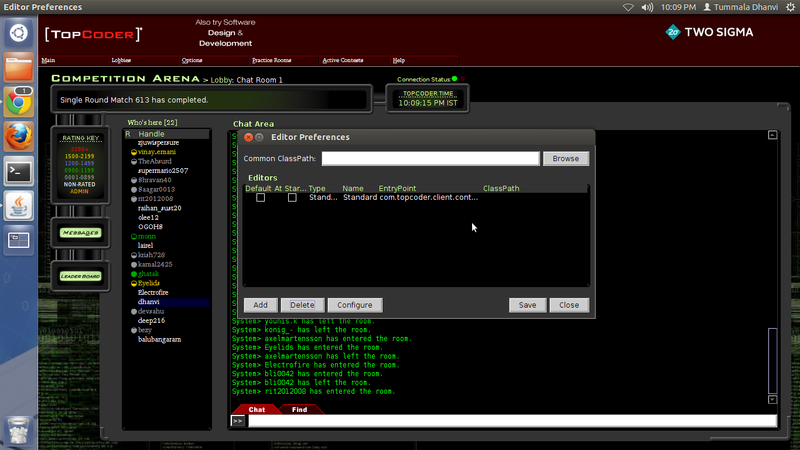 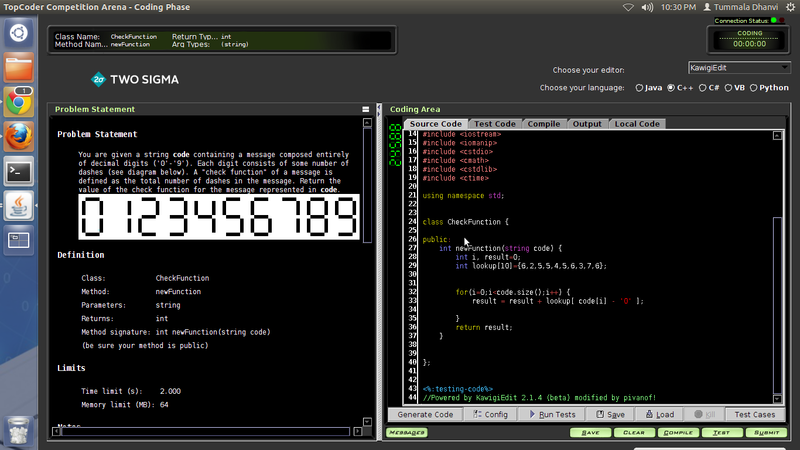 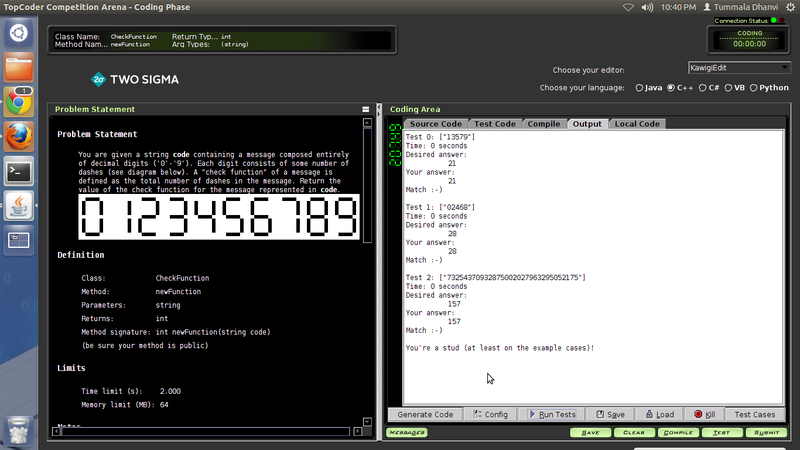 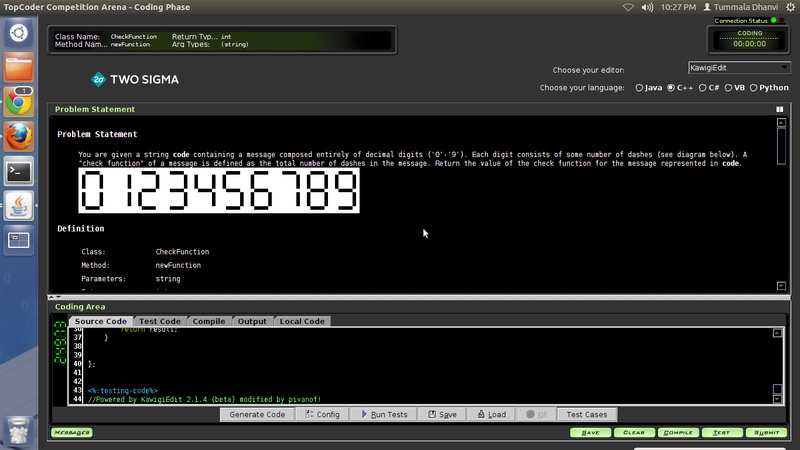 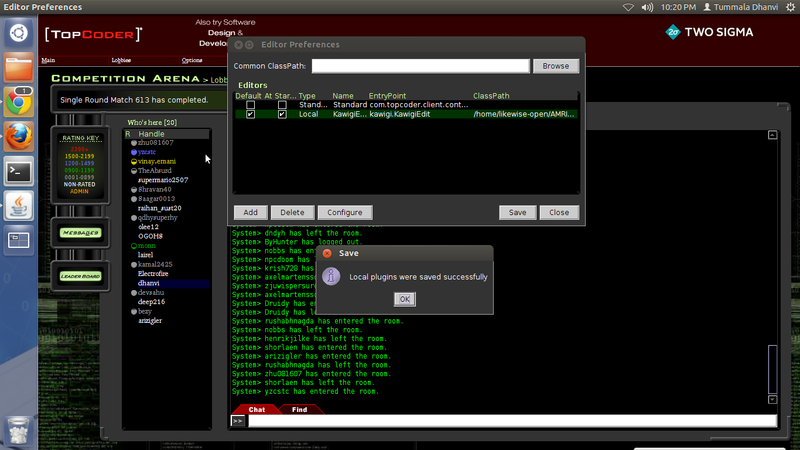 Now double click you will get a topcoder arenia like this. 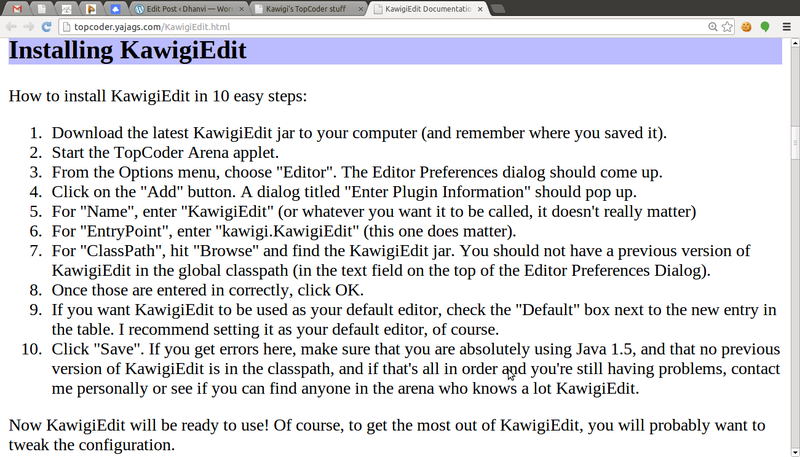 Name can be what ever you want but entry point should be “kawigi.KawigiEdit” better copy this and paste it .Then you would have a editor(kawigi) in the editor preferences make it as default and save it ie..
All the best, happy topcoding ……..
Posted in FOSSTagged featured, kawigi, topcoderBookmark the permalink.